The Art Fair is a major contemporary development in relation to selling art. There has been an explosion in art fairs in recent years. Artists need to produce art that sells to get chosen as an artist that art dealers/galleries take to an art fair. 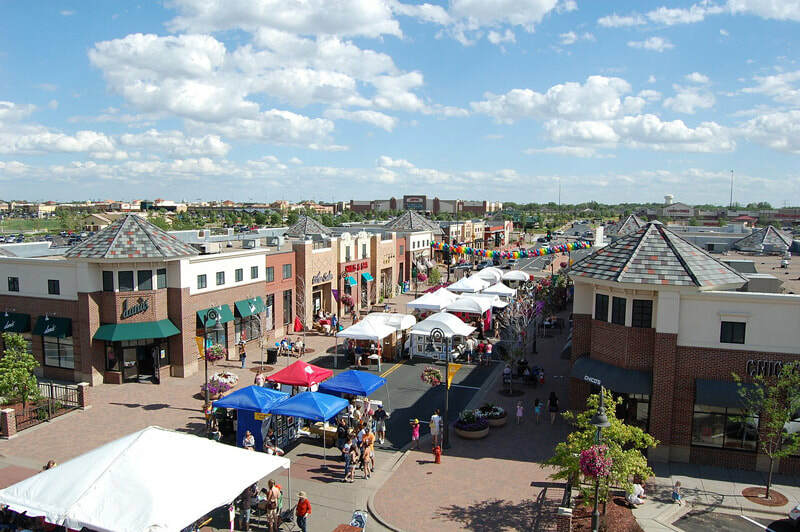 At a regional and local level there are numerous much smaller art fairs at which artists can represent themselves. Edward Winkleman on the Rise of the Arts Fairs from Sinnlicht on Vimeo. ...fairs are a burden. No one can keep up. Worse, no one can afford not to, least of all galleries strapped for sales, publicity, and cash. 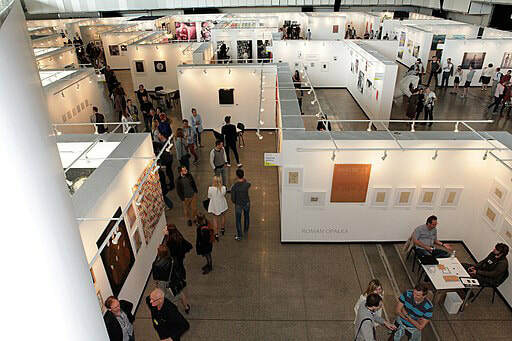 Galleries and artists that want to participate in the higher end art fairs generally have to meet the criteria for the type of gallery/artist the Art Fair wants to see exhibited at a Fair. Typically, the larger and more prestigious contemporary art fairs only want art galleries and art dealers taking stands - and charge accordingly. Smaller and more parochial art fairs will allow artists to represent themselves on their own account - if they meet the quality criteria. socialise with "people like me". For those who are 'time poor' these reasons are a major advantage and the reason why they attend. This factor works at all levels of the art collecting community - which is one of the reasons why art fairs are so very popular. 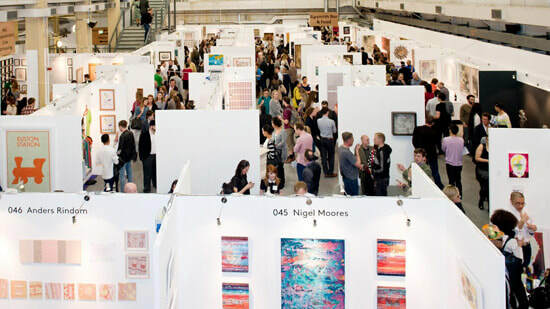 London Art Fairs: A Beginners's Guide - How do you decide which one's are worth going to? How to Sell at Art Fairs with Ilana Vardy | Alan Bamberger - If you're exhibiting at art fairs or know someone who is, here's how to do it right. These are art fairs which are typically limited to art galleries representing artists. It's a means of making buying art from art galleries more efficient for the art collector - as they get to see much more of what's on offer in a shorter space of time. Presence at an Art Fair means they are recognised to be credible and now have another place to sell art. However this also means that they have less time to invest in the gallery shows at 'home'. and you are less likely to develop a client base that lives near your gallery - and thus become dependent on somebody else's operation for selling art. Typically artists are at the larger and more prestigious art fairs because they are with an art gallery. ​Hence artists that attend art fairs with their galleries need to finance travel and hotel costs if they are there for more than one day. The locations of art fairs can mean this can be expensive. If you're an artist and not with a gallery you'll need to buy a ticket to attend. 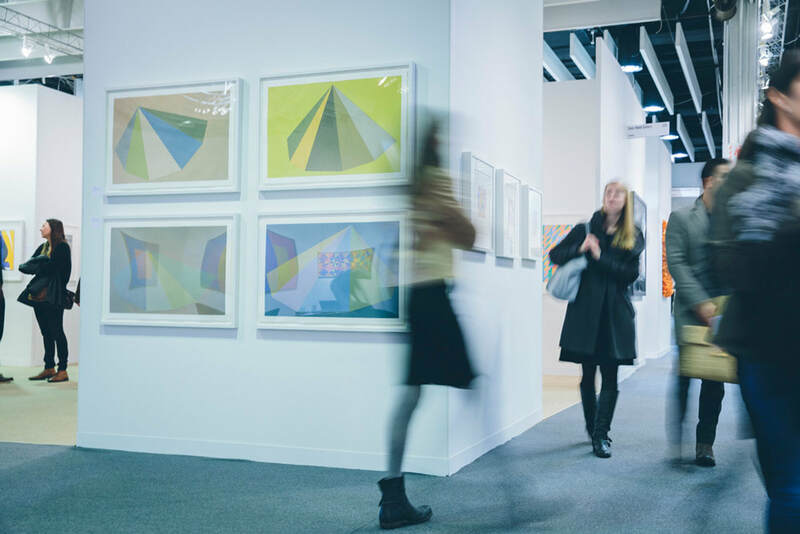 The Impact of International Art Fairs on Galleries by Brian Sherwin | FASO - Most of the art dealers I know loathe the influence that big art fairs have today. Yet several of them continue to increase said influence by participating. Resistance is futile - John Haber - about the Sotheby's discussion of art fairs and their impact on the art market. This is the type of art fair that allows artists to take a stand and represent themselves - as long as they meet qualifying criteria for that particular art fair. ​Beware of the Art Fair with no track record that promises more than it can deliver or breaches its contracts. 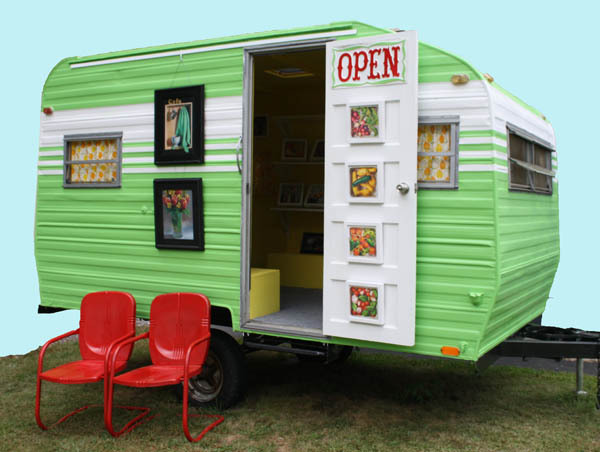 ​Artists have to rent a space and then buy or rent a stand that meets the fair's requirements. You need enough stamina or people to be able to man the stand at all times (you can't rely on your neighbouring stands being reliable). Artists often take a camper van or use B&Bs for accommodation. The time taken for preparation is significant. Travel costs for non-local shows can be hefty. The common complaint that exhibitors make about art fairs is about Art Fair Organisers who start to get greedy, expand and then end up filling the fair with people who have not made the goods on show. It then becomes just another market and loses all the visitors which made it an initial success. You can get lots of practical advice about various Art fairs from the Art Fair Buddies Facebook Group. ​It's a Closed Group with 3.6k members. They provide frank views on their experience of different art fairs and helpful advice for people wanting specific kit in order to exhibit. information about Art Fairs and the logistics of doing them! From hotel info to which ones to do.....and everything in between. This two page guide is based on tips from members of the Art Fair Buddies Facebook Group who I invited to tell me one essential tip for any first timer at an art fair. You can download this for FREE. Please share the URL but do not copy. ​​In the USA there are a lot of art shows at a regional and local level. ​There's also a lot of 'knowledge' about those art fairs to be had from those who have previously exhibited. Art Fair Organisers annoy artists at their peril! See also the due diligence section for questions to ask before making a financial commitment. 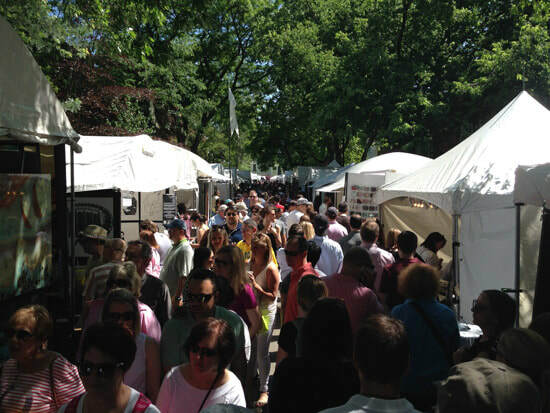 Are you ready for an Art Fair? The ideal research is to visit the fair first. Year 1 - research how it operates and which stands are busiest etc. Year 2 book a stand if you think it's a good fit. Financial Budget: Work out the cost of hiring a space and creating and fitting out a stand and display equipment. Do a proper costing for what you need to buy or rent. Get quotes from different suppliers for what you need. Think about what alternatives might work. Plus you need a budget for where you stay and eating out. Time Budget: Work out how days relate to being at the fair. Plus how many days/hours you need to allocate to preparation - you need to create your stand, fill it with "product", have safe storage for more "product"; print lots of flyers, business cards, price lists etc. Then add on the time for getting there and back and time spent at the fair. Read ALL the contract before you commit to anything - it's not unknown for organisers to build in extra financial commitments. This book is written by an artist with a lot of experience of art fairs. She uses them as a way of making a profit and penetrating a new geographical marketplace so she can get hung in local galleries. You can see lots of photos of her shows on her website. Before contemplating applying for an art fair do check out the rules on what you can use to display your art. Some big art fairs can be very fussy about what sort and size of stand you can have. Local art fairs are often more relaxed about what sort of stand you can have - but they still have standards! Finding a stand which can stand up in 'robust' weather can also be a bit of a trial. This is the classic 10 x 10' booth with a roof and walls used by very many people who attend art fairs. They are not cheap to buy so you need to think seriously about whether you want to do art fairs before you invest. Do make sure you erect it at home first rather than trying it out for the first time at the art fair! Do visit an art fair to look specifically at what tents and display equipment and lights people use for their stands. ​Find out if they are happy with them and whether they would recommend a purchase - but do NOT ask questions when they are busy selling! ​Take a tip from people who've done lots of shows as to what you need and what works best. ​You'll find most of the practical tips come from craftspeople rather than artists however most good practices are common to both. 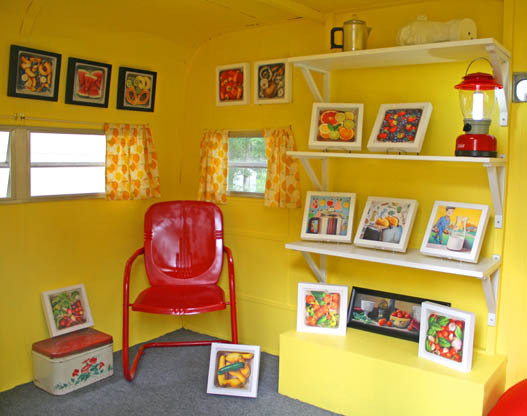 Luann Udell has provided a ton of advice about selling art and going to art fairs on her blog. For every person that actually buys your work, there will be a dozen folks, perhaps even a hundred, who have absolutely no intention of buying your work. You may have read that title twice - and yes that's what this book is all about - how to get rid of people from your booth! It makes complete sense when you realise how many time wasters who have no intention of buying anything invade your art fair booth! Particularly the jerks, downers, whiners or the energy-vampires - all the people who can bring your art fair experience down.